The Easter Bunny is Coming to Town April 20th! Festivities will start at 10am at the Bray Birch Park 12113 Lamington Dr.
February 16th Join your neighbors at the Amenity Center for a rockin good time!! 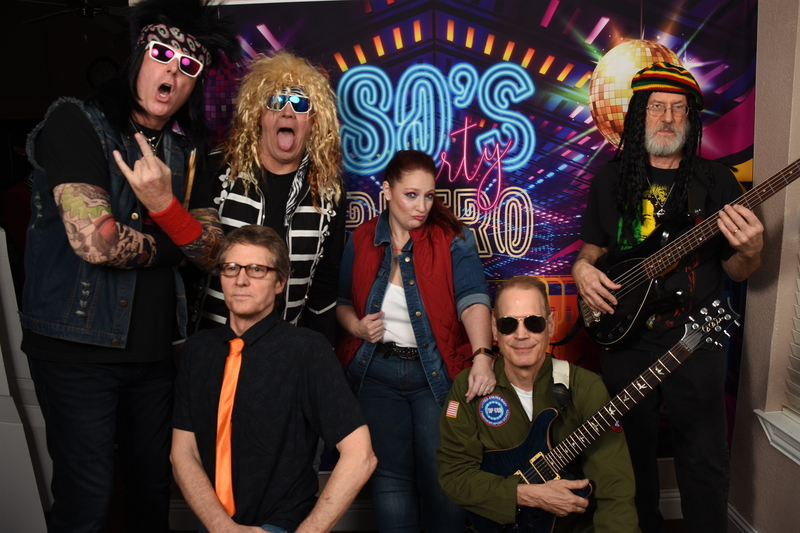 Jump back in time and dance the night away to 80’s covers from Save Ferris. 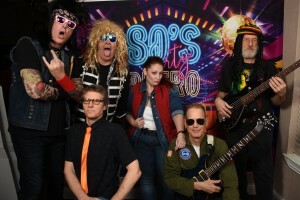 Wear your best 80’s attire for a chance to win a prize. Register today at vows80s.athlete360.com. Those who register before Sunday, February 10th will receive 10 bonus raffle tickets and those who register before Tuesday, February 12th will receive 6 bonus raffle tickets. The VOWS Events Committee event for goat yoga is on Saturday 11/3 with two sessions: 10 a.m., 10:45 a.m. Goat yoga is a regular yoga exercise session that is held outdoors in a fenced area with goats who will interact and possible rest on your back. The company will provide mats, water, bug spray. Cost is $10 a person, even if you don’t participate in yoga as space is limited to 75 person per session. Registration is required vowsyoga.athlete360.com. Breakfast will include breakfast burritos from Elote Mexican Kitchen, fruit, and cereal boxes. Registration is required for everyone in attendance. If you are not interested in breakfast, then you may select the third session at 11 a.m. with photo only. Seating is limited, please register at vowsbreakfast.athlete360.com. Join us for the Back to School Party Saturday, August 4th from 11 a.m. to 2 p.m. Neighbors will enjoy a free Buy-Nothing garage sale in the parking lot at the slide pool. Bring your garage sale items to donate, and pick up from other donations for items to take home for free! Endersby Photography will be holding a school supply drive to benefit the Donation House charity’s annual gifting. Enjoy free hot dogs, snow cones, vendor booths, and more fun! Scouts of America will be hosting a skills fair. Volunteers will be needed to make the fun possible, please email Events.VOWS@gmail.com to sign up. Mothers bring your sons to go to the VOWS Mother son Social! Mad Science will perform cool science experiments. Families will also enjoy lunch and a craft. Seating is limited. 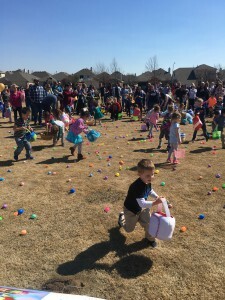 Families enjoyed the annual egg hunt at Bray Birch park on Saturday, March 3rd from 10 a.m. to noon. The fun started with inflatable hungry hippo, music by DJ Kam, petting zoo, vendor booths, ice cream truck and food truck. Rob Ballard with Keller-Williams Southlake had a free paper-shredding truck. Tiger Rock Martial Arts provided bounce houses for the kids! 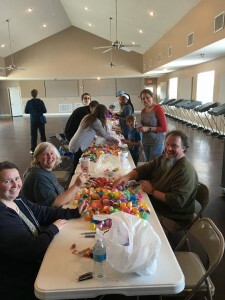 Thank you to all the volunteers who helped stuff and hide eggs. Enjoy breakfast and have your picture taken with Santa at the Amenity Center 12209 Timberland Blvd. Elote Mexican Kitchen will be providing breakfast burritos, and fruit and cereal boxes will be available too.